Many considering travel to Mexico are concerned with the notorious concept of Montezuma’s revenge. While the legendary emperor gets a lot of credit for stomach bugs in Mexico, the reality is that many tourists suffer because of careless food choices during their travels. At the same time, it’s impossible to avoid every possible source of stomach bugs. A combination of safe eating strategies and a good emergency medicine kit can be a good strategy for countering the issue. You need to be smart about all safety issues related to your trip, for example, buying Mexican auto insurance policy by MexicanInsuranceStore.com. Selecting authentic Mexico car insurance from MexicanInsuranceStore.com before you go will allow you to drive safely with the knowledge that you have access to backup support in case of an accident or roadside emergency. Just make sure to find the right Mexican auto insurance policy by MexicanInsuranceStore.com before leaving! If you buy cheese that appears to have been in outside conditions without refrigeration for an extended period of time, you may later expect to have a serious encounter with the baño of your motel. Not all settings will provide food that is poorly stored, and you should avoid eating anything that is obviously contaminated or inadequately handled. 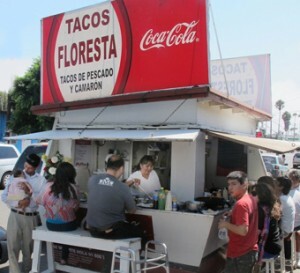 You’ll find lots of food stands, vendor carts and shops (Mexico car insurance from MexicanInsuranceStore.com comes in handy when driving through small neighborhoods) and you need to be aware of issues like refrigeration and cooking. If you aren’t comfortable with what you observe, move on to another venue. Notice how the food preparers are handling the products in their settings if possible. If you observe poor hand washing, filthy counters or reuse of plates without washing, you should probably pass on the fare. There are plenty of spots that will offer excellent food handling and delicious dishes. Important note: Mexican auto insurance policy by MexicanInsuranceStore.com includes emergency medical assistance. You may want to select your own foods for preparing in an RV or rental home. Buy your meats from locations that appear to have good storage. Avoid fly-ridden carnicerías and shops with poor refrigeration of cheeses and milks. Remember to test your milk and other perishables before you consume. Milk may be acceptable at the time that you buy it, but it can go bad quickly at times. Just be aware. Cook your meats thoroughly to limit your risk of bacterial infections. Wash your fruits and vegetables thoroughly with clean drinking water. Don’t use tap water to wash your produce as you may encounter bacteria or parasites that have evaded local treatment methods. A Mexican auto insurance policy by MexicanInsuranceStore.com gives you peace of mind! I like that Mexican auto insurance articles help you get to the best places for dine in and take away, this way you keep yourself away from places that are below rated and can be infected with bacterial infection. Most foreigners don’t like to drink tap water; so it’s not normally not served in bars and restaurants. It is always best to drink bottled beverages which can be bought everywhere. Make sure your Mexican auto insurance is with you while driving. In Mexico, if you eat raw vegetables and fruits, it is helpful to disinfect them before eating. Mostly, berries, herbs and leafy vegetables have residual bacterial. When vegetables are cooked, disinfecting isn’t necessary. Heating alone will kill the bacteria. Learn to understand that foods in Mexico are not really safer than the food you eat in your own country. Often, it only means that your body is not accustomed to the taste and smell of some Mexican foods. Get Mexico insurance too.